Helping couples avoid divorce and develop loving marriages is one of the most satisfying aspects of my work. In a similar way, I enjoy helping parents (and step-parents) be the best parents they can be. This improves quality of life both for parents and children. Often the best single thing I can do to help a family is to help the parents resolve disagreements about parenting and family life so they can work together more effectively. The primary marital counseling method I use is called the PREP™ program. (This approach is equally suitable to couples planning marriage or unmarried couples in committed relationships.) Its efficacy has been established by careful scientific research. Five to ten years later, couples who have had this kind of counseling are half as likely as other couples to be divorced and twice as likely to be happily married. You may have seen one of the authors, Howard Markman, on Oprah, 20/20 or 48 hours. These methods are clearly described in a readable, entertaining paperback book, Fighting for Your Marriage, by Howard Markman and Scott Stanley. It's available at bookstores everywhere. I've been specially trained in this method by Stanley and Markman. 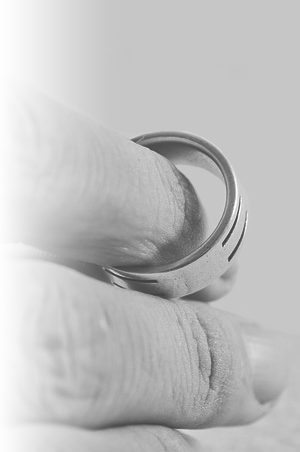 The PREP™ program is a mediation-oriented approach to marital counseling. The counselor helps the couple learn the rules of fair fighting and constructive problem-solving. Instead of solving the couple's problems, the counselor functions as a referee while the partners work together to find mutually acceptable solutions. The partners reduce their backlog of unresolved disputes while learning to fight fair and resolve their own disputes more effectively in the future. I have learned that mediation-based approach is most often helpful for conflict between parents and teenagers or young adult children. When the parents and children talk out their differences productively with the help of a counselor functioning as a mediator, everybody feels better and behaves more responsibly. Sadly, I often encounter parents who admit they have no idea how to raise children happily and effectively. They are unable to find a good balance between love and firmness, and they can't figure out how to reward and punish consistently. They may not have clear rules and expectations. Fortunately, most such parents want to do a better job. Very often, simple improvements in parenting practices produce good results in a few weeks. When marital counseling comes to late, or doesn't come at all, some couples conclude that divorce is their only option. In these cases, I can provide divorce mediation as an alternative to expensive and brutal divorce litigation.